Epicor Dealer Network Portal is a powerful tool that increases order accuracy, reduces operational cost, offers new insights into your business, grows your dealer channel, and promotes customer loyalty all from one easy-to-use platform. These days, your dealers face intense complexity. They often juggle several manufacturers' brands and face rising customer expectations, driven by technology and eCommerce innovations. Sales and service dealers are under new pressure to meet higher customer expectations for a pleasant online experience, excellent service, and transparency throughout the buying process. Not surprising, your dealers also have the same rising expectations of you as the manufacturer. The Epicor Dealer Network Portal is an innovative enterprise solution designed for manufacturers who sell or service products through dealers. Powered by the industry-leading Epicor Commerce Connect (ECC) solution and tightly integrated with the Epicor ERP system, the Epicor Dealer Network creates a modern online experience for your dealers to rapidly configure, price, and quote orders, as well as manage service and warranty needs for your products. Most dealers represent multiple products from different manufacturers, so you must differentiate your brand to win. The Epicor Dealer Network Portal helps your sales and service dealers deliver a modern experience to compete in the digital age. The solution helps you leverage automation for operational efficiency, integrate systems for access to real-time data, and deploy the latest eCommerce innovations for a best-practice, customer-centric approach. 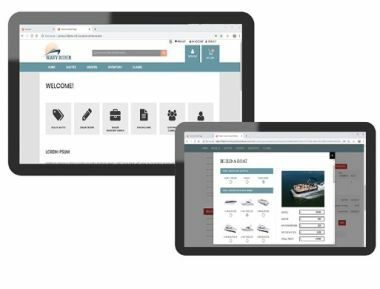 It fits a variety of dealer channel models with functions for selling, supporting warranty and repair, tracking products after shipping, and even incorporating distributors into the channel.